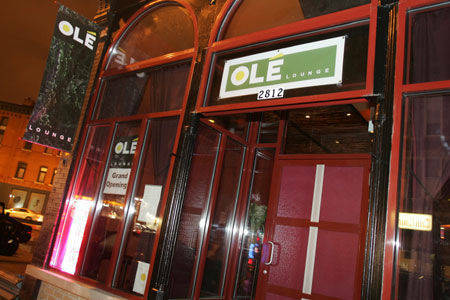 OLE LOUNGE is described as "tapas by day and ultra lounge by night!” The music here is a great blend of House, Latin, and Hip Hop. If you go in the daytime, you can't go wrong with anything on their exquisite menu, but we would most highly recommend the goat cheese olives and paella. The desserts are nothing short of gourmet, so make sure to save room for that! Definitely get some sangria while you're there too. The ultra lounge vibe makes its presence known at night, and you can enjoy the harmonious blend of music along with delicious drinks from their well-stocked bar. Ole Lounge is an experience to be savored.